Crow was widely known for representing rail workers and being the face of various tube strike in London. Bob Crow pictured last month. THE GENERAL SECRETARY of the largest transport union in the UK has died aged 52. Bob Crow was one of the mostly widely known union leaders in the UK for being at the forefront of disputes with the UK government and for overseeing strikes on the London Underground. It is with the deepest regret that RMT has to confirm that our General Secretary Bob Crow sadly passed away in the early hours of this morning. The union’s offices will be closed for the rest of the day and the union will make further announcements in due course. Crow led the RMT since 2002 and only last month a threatened strike by the union halted the closure of 260 ticket offices on the London Underground network that could have led to the loss of 950 jobs. He fought really hard for his members. The only working-class people who still have well-paid jobs in London are his members. Bob Crow was a true champion for workers and fought relentlessly to improve their pay and conditions over many years. He was loved by his members in the RMT across Britain. He was also a friend of SIPTU and of Irish workers and never failed to support them whenever he could. Email “UK union leader Bob Crow dies aged 52”. 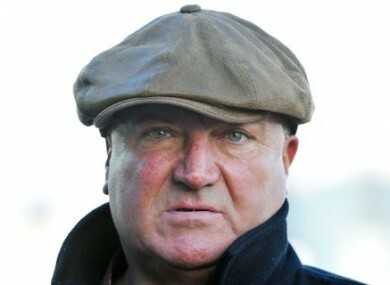 Feedback on “UK union leader Bob Crow dies aged 52”.